Doom Over Kyiv, which celebrates its 12th anniversary this year, returns after a one-year hiatus. Ukrainian metal festival will be held on October 12 at the club Atlas in Kyiv. During 12 years of its existence, Doom Over Kyiv lineups featured such bands as Swallow the Sun, Saturnus, Antimatter, October Tide, Shape of Despair, Draconian, Clouds, Panteist, Esoteric, Skepticism, Fen, Eye of Solitude, Raventale, 1914, etc. Among the first announcements of the upcoming event are the French band Monolithe (Melodic Death/Doom Metal) and the Swedish act Tiamat (Gothic Metal/Rock), the last one will return to Ukraine with a special program and will play songs from the iconic albums "Clouds" and "Wildhoney". Tickets for the event from 790 to 1690 UAH are already available here. 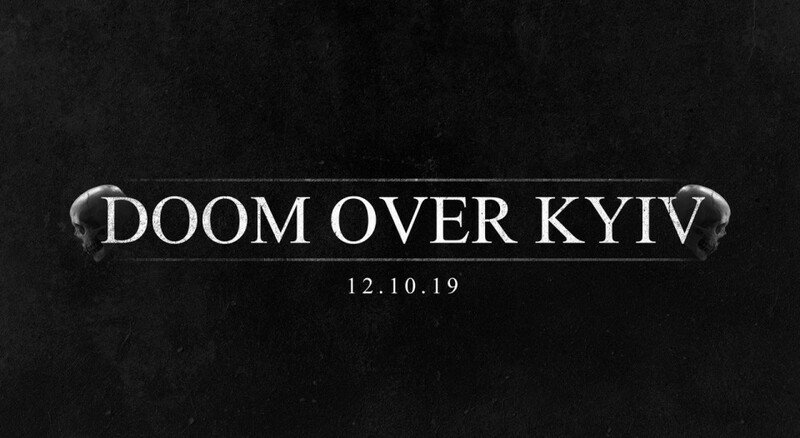 Doom Over Kyiv 2019 on Facebook.